I believe that other blogs, dedicated to the topic, cover music better than The Blogging Goth could. However, as a long-time fan of gorgeous and under-appreciated post-punks The Chameleons, and currently on a binge-watch of David Lynch’s small-screen opus Twin Peaks, this tantalizing news cannot go unreported. 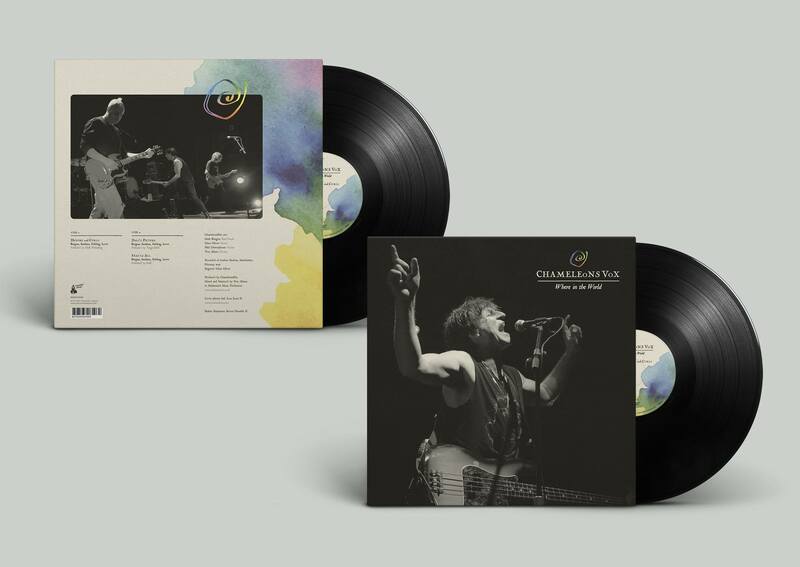 Chameleons Vox, the outfit in which original singer Mark Burgess performs, is about to tour Europe through the spring, and then North America in September. Excitingly enough, you’ll be able to buy a brand new EP from at the same time – Where in the World, an exciting collection of demos, unreleased tracks and similar new-ish material. 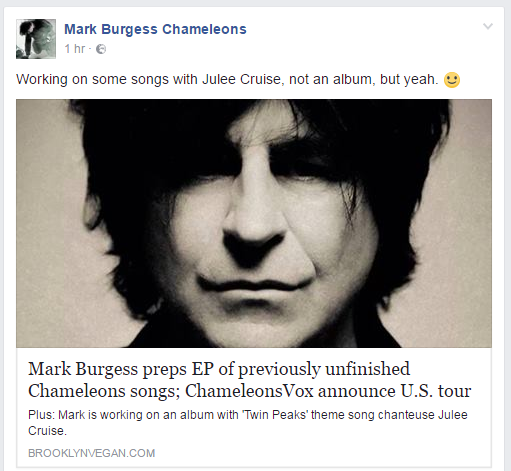 At the same time, Mark Burgess has shared via Facebook (the band’s official website being down) an article by Brooklyn Vegan that mentions, in passing, a collaboration between the Chameleons Vox singer and another musician who produced one of the most evocative pieces of music ever attached to a cult creation. Mark is also working on an album with Julee Cruise (who is best known for singing the Twin Peaks theme, “Falling”). Mark has clarified on Facebook that it isn’t actually an album, but that the two artists are indeed working together. With the return of the definitive eerie Nineties television show, could we be hearing the contributions of the criminally overlooked Chameleons on the soundtrack to the third series? We can certainly hope so. Remember readers, where we’re from, the birds sing a pretty song… and there’s always music in the air. This entry was posted in Uncategorized and tagged America, bands, david lynch, music, news, twin peaks. Bookmark the permalink.